If so, some of your next steps might be to determine the distance of your ride, where it will begin and end, and whether you want to invite anyone else to join. 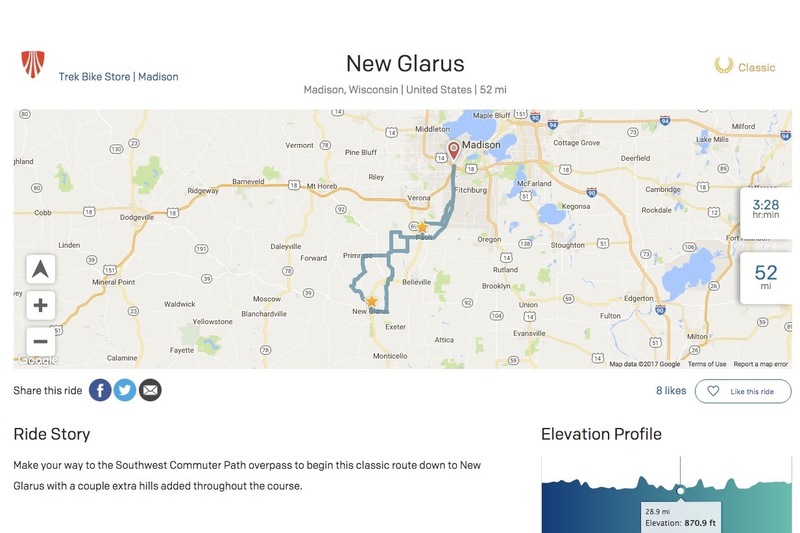 Blackriver, a Madison, WI-based startup, has joined the list of companies that develop technology allowing cyclists to plan their rides ahead of time. It’s even possible for users to get navigation instructions on their smartphones in real time using Blackriver’s mobile app, which is available for iOS and Android devices, says Eric Lynn. He is the founder and CEO of the company, which he got the idea for while he was still working at Trek, a global bicycle manufacturer headquartered about 25 miles northeast of Madison. Lynn left Trek in 2013, and says the company gave him a nice going-away present: a nine-day bike tour across Europe. He says that during the trip, he gave a lot of thought to his idea for new cycling-focused software. Blackriver, which according to securities filings was incorporated in 2016, has raised about $1.5 million in convertible debt financing to develop its technology, Lynn says. The funding came from a small group of individual investors, he says. The startup plans to use some of the money to continue developing its platform, which is designed to engage not only individual cyclists but also bicycle makers and brick-and-mortar bike shops. (More on how those groups fit into the picture below). 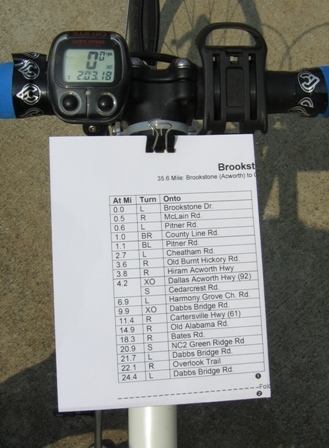 Before smartphones and other GPS-equipped devices became ubiquitous over the past several years, many cyclists would navigate using “cue sheets” attached to the tops of their bikes that tell them the roads and mile markers at which to make turns. One benefit of receiving live directions from a gadget with GPS capabilities is that cyclists can keep their heads up and eyes on the road ahead. Lynn says that Blackriver’s two biggest competitors are San Francisco-based Strava and MapMyFitness, which apparel giant Under Armour (NYSE: UAA) acquired in 2013 for a reported $150 million. Many features of Blackriver’s software are also built into the products that either Strava or MapMyFitness (or both) have developed. Cyclists can browse lists of pre-uploaded routes, which show maps, elevation data, and users who have logged the fastest times. It’s also possible to create your own custom route—either ahead of time or as you ride—and share it with other users. Lynn says that Blackriver’s software has been used to log nearly 100,000 rides so far. Asked what separates Blackriver from its competitors, Lynn points to how his company’s software is designed to get organizations that build, sell, and service bikes involved. For example, a bike shop can upload a “challenge” ride to Blackriver. Users who complete the ride, which is verified using the GPS technology on the devices they carry along with them, are rewarded with a prize, such as a water bottle or a discount on their next purchase.